"White people steppin'?!" "I know…" Netflix has unveiled a trailer for an indie comedy titled Step Sisters, a fictionalized feature about a step dancing competition and a sorority. Megalyn Echikunwoke stars as a top-of-the-class woman at a university who is tasked with teaching her "misbehaving, mostly white sorority how to step" but gets into all kinds of trouble when she instead decides to train her rival sorority house to get ready for the competition. The cast includes Matt McGorry, Naturi Naughton, Sheryl Lee Ralph, Marque Richardson, Eden Sher, Lyndon Smith, Gage Golightly, Nia Jervier, and Alessandra Torresani. Unfortunately, this looks pretty terrible, even though there seems to be good intentions behind it. I would recommend just watching the documentary Step instead, about actual step dancers. Have fun. Jamilah Bishop (Megalyn Echikunwoke) seems to excel at everything: She's president of her sorority, captain of the step crew, liaison to the college dean and a star student who is on her way to to Harvard Law School. But when Jamilah is asked to teach a misbehaving, mostly white sorority how to step, success seems impossible. Without telling her own sorority sisters, Jamilah begins training rivals Sigma Beta Beta (SBB) for the "Steptacular" competitive dance competition. 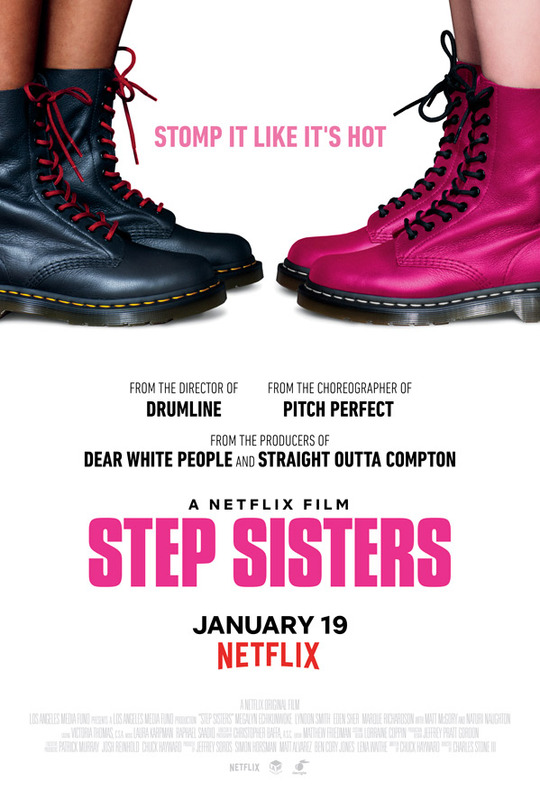 Step Sisters is directed by American filmmaker Charles Stone III, director of the films Drumline, Paid in Full, Mr. 3000, and Lila & Eve previously. The screenplay is written by Chuck Hayward (Netflix's "Dear White People"). Netflix will release Charles Stone III's Step Sisters streaming exclusively starting on January 19th, 2018 later this month. Anyone curious?